Future fog data networks are expected to be assisted by users cooperation and coding schemes. Given the finite I/O access bandwidth of the drives in the data servers and the explosive increase in the end users’ demand for download of the content from the servers, in this paper, we consider the implementation of instantly decodable network coding (IDNC) in full-duplex device-to-device (D2D) enabled cooperative distributed data networks. 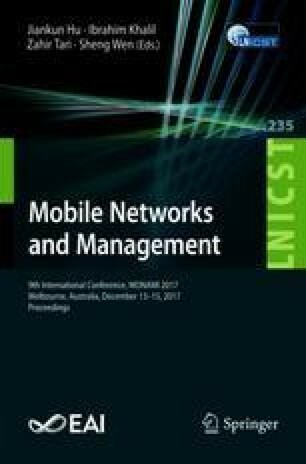 In particular, this paper is concerned with optimizing D2D communications with efficiently coded transmissions such that we offload traffic from the expensive backhaul of network servers. Previous works implementing IDNC have not focused on a cooperative architecture, therefore a new theoretical-graph model is proposed and the optimal problem formulation is presented. However, as the optimal solution suffers from the intractability of being NP-hard, it is not suitable for real-time communications. The complexity of the problem is addressed by presenting a greedy heuristic algorithm used over the proposed graph model. The paper shows that by implementing IDNC in a full-duplex cooperative D2D network model significant reduction in the number of downloads required from the servers can be achieved, which will result in saving valuable servers’ resources.